In just under a week’s time, South Africa will celebrate the 62nd anniversary of the adoption of the Freedom Charter at the Congress of the People in Kliptown. The Freedom Charter is a good starting point for our discussion this afternoon because it captures perfectly the intent and, to some extent, the content of radical economic transformation. 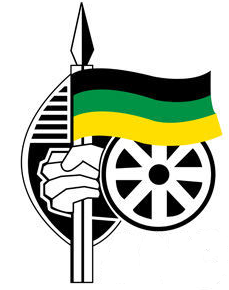 Given the extent of dispossession, discrimination, exploitation and exclusion, this call in the Freedom Charter was a call for radical and fundamental economic transformation. Over the intervening six decades, the principles of redress, redistribution, social justice and equality have been at the centre of ANC economic policy. These principles have underpinned the ANC’s policies in government, notably in the Reconstruction and Development Programme and the National Development Plan (NDP). Deputy President Cyril Ramaphosa attends Expanded Public Works Programme Summit, 15 Nov 2016. At the ANC’s Mangaung Conference in 2012, the organisation adopted the NDP as an overarching framework for the second phase of our democratic transition – the pursuit of socio-economic freedom. The Mangaung Conference recognised that in the nearly two decades since the advent of democracy, political freedom had largely been achieved. The priority now was to pursue economic freedom. 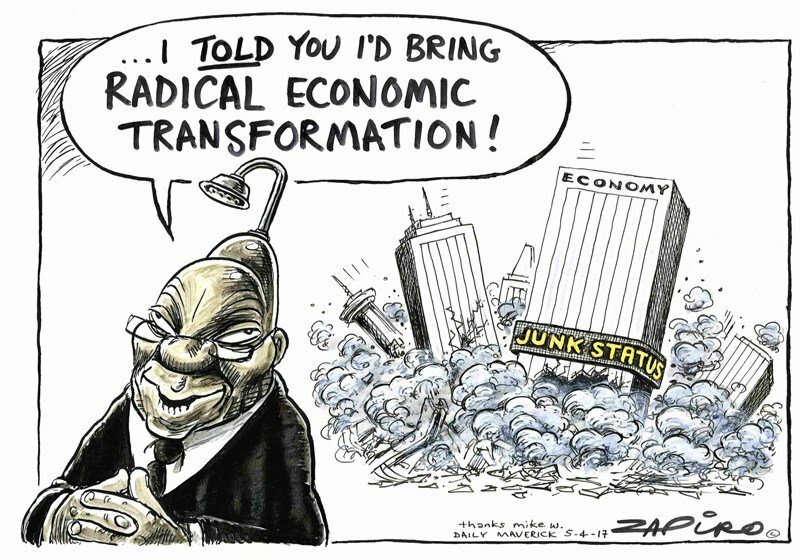 The term ‘radical economic transformation’ was first used in the Medium-Term Strategic Framework, which was adopted by government in 2014 to guide the work of this current administration. The MTSF 2014-2019, which is derived from the NDP, introduced the term to signal an intensification and acceleration of the economic transformation process. Radical economic transformation is therefore not a break with existing policy. It does not represent a new, uncertain path. 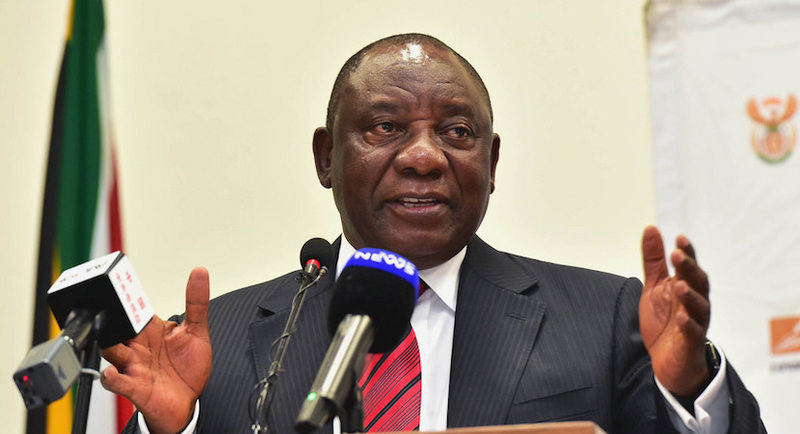 Radical economic transformation indicates a new phase of accelerated implementation of the long-standing economic policy positions of the ANC and government. Part of the problem with the current conversation about radical economic transformation is that the term has often been misused, misrepresented or misunderstood. We now know that some highly-paid PR specialists contrived a plan to use terms like “radical economic transformation” and “white monopoly capital” to launch a publicity offensive in defence of their clients. It was part of defining a new narrative where those who stood in the way of their clients’ interests were presented as being opposed to “radical economic transformation” and representing the interests of “white monopoly capital”. 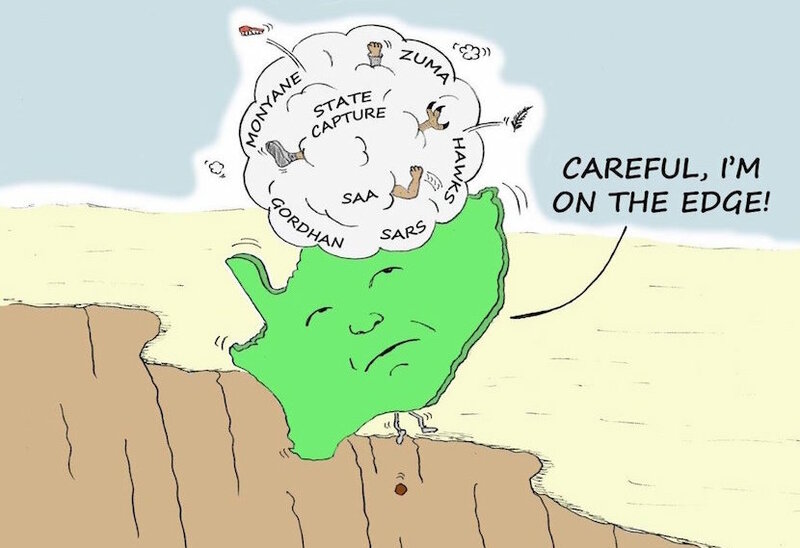 It is has therefore become accepted in many quarters that the term “radical economic transformation” is often deployed to either mask or justify activities that could be best described as state capture. Some people use the term “radical economic transformation” to proclaim measures that are intended to cement their ‘radical’ credentials rather than actually achieve meaningful improvement in the lives of the poor. However, if we are to progress as a democratic nation, we need to ensure that we are not distracted or side-tracked by the misuse of the term. Rather, we must focus on the real substance of radical economic transformation and the steps we need to take, together, to achieve it. Radical economic transformation is, in essence, about building a more equal society through sustained inclusive growth. It requires that we change the structure of our economy. We need to fundamentally alter the racial and gender composition of the ownership, control and management of our economy. We need a South African economy that truly reflects the composition, diversity and interests of the South African people. It cannot be owned by white people. It cannot be dominated by men. This necessarily requires that we address the concentration of ownership in the economy. Many significant economic sectors are dominated by just a few companies. Not only does this make transformation more difficult by limiting the scope for new entrants, but it also stifles competition, keeps prices high and encourages inefficiency. If we are to truly unleash our country’s potential, we need to tackle this concentration of ownership, control and market dominance. We also need to diversify our economy, specifically through the development of our industrial capacity. South Africa has abundant mineral and agricultural resources, but is not extracting the true economic value of these resources before exporting them. In reality, South Africa’s natural resources are creating millions of jobs in other countries. By beneficiating our minerals, by processing our agricultural produce, we will be able to realise their full potential value. Radical economic transformation will not be achieved without a massive increase in the number of South Africans who are employed. Job creation remains the most effective driver of inclusive growth, the most direct route out of poverty, and the best way to address inequality. That is why government, business, labour and other social partners have identified job creation as the most important and pressing economic task of the moment. Everything we do must be aimed towards job creation. But jobs will not be created in any significant quantity unless the economy grows at a much faster rate. And the economy will not grow unless there is significant investment in productive activity. It must therefore be a matter of great concern that the country is in recession, that business confidence has declined and that our sovereign credit rating has been downgraded. These developments severely undermine our efforts to fundamentally transform our economy. Yet, although we find ourselves in difficult economic circumstances, we cannot afford to be despondent. Now, more than ever, we need to work together on practical measures to turn around the South African economy. Now, more than ever, we need the CEOs Initiative to be bringing government, business and labour together to create jobs. Now, more than ever, government needs to play its part. Among the areas where progress has been made, and where work is ongoing, is in the promotion of investment in industry. This includes through the work of the Inter-Ministerial Committee on Investment, the expansion of industrial incentives, the establishment of special economic zones and streamlining investment approval processes. Another important area is to leverage public infrastructure investment far more effectively and deliberately. Even under the current fiscal constraints, government continues to dedicate significant resources to its infrastructure build and maintenance programme. We need to use this investment to develop our own manufacturing capabilities and local suppliers. We need also to bear in mind that investment in infrastructure on the African continent as a whole will only grow in the coming decades. As South Africa, we need to ready ourselves to be among the leading suppliers for Africa’s infrastructure revolution. For radical economic transformation to be successful, the process of black economic empowerment needs to be integral to our efforts to grow the economy. Empowerment and growth should be mutually reinforcing. By bringing more black South Africans into the economy – as owners, managers, financiers, industrialists and employees – we are expanding the capacity of our economy. We are improving the potential for growth and development. We need to use the levers of state procurement more effectively to affirm black-owned companies. We have been successful to some extent, but we need to do more to ensure that government’s substantial procurement budget opens up opportunities for emerging black businesses. We need to challenge the view that preferential procurement measures encourage fraud and corruption. Mr Ramaphosa, the ANC may be able to wait until Dec to change, but the poor cannot suffer the consequences of corruption for another day. Where there is corruption, nepotism or fronting, it must be dealt with decisively and those responsible must face the full might of the law. Government’s black industrialists programme is part of a broader development in the evolution of black economic empowerment. Until now, much of the empowerment activity has been around the acquisition of black partners of minority stakes in established businesses. While this has enabled many to build up a capital base and acquire skills and capabilities, it has not brought about the broad-based empowerment that the country needs. There is now a growing determination for black business people to establish their own companies or to become majority shareholders in existing businesses. There is a greater push, using mechanisms like the black industrialists programme and the revised BEE codes, for black people to establish, own, finance and control businesses in their own right. Central to the success of radical economic transformation – central to the growth of our economy and the prosperity of our people – is the development of our people’s skills. If we can succeed in undoing the damage that apartheid education did, we will have succeeded in changing our country’s economy and our society beyond recognition. If we can provide all our children with quality basic education, if we can make higher education accessible to all, and if we can equip our young people with skills appropriate to the workplace of tomorrow, then we will have laid the firmest foundation for economic growth and inclusion. If these efforts are to succeed – if we are to transform our economy – we need to have certain fundamentals in place. We need a capable developmental state that is able to effectively direct resources towards where they have the greatest economic and social benefit. That means it needs to have an advanced planning and monitoring capability. It needs to ensure that the country’s resources – from its minerals to its oceans to its broadband spectrum – are used to advance the interests of the people, particularly the poor. We need to have state owned enterprises that fulfil a clear developmental function, that are governed effectively, that manage their finances responsibly and that are led by capable, honest and accountable people. We need to root out corruption both in the public and private sectors. We need to eliminate mismanagement and wastage. 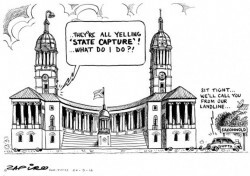 Among other things, we need to proceed with urgency to establish a judicial commission of inquiry into state capture. Our law enforcement agencies need to give these issues their full attention so that the allegations can be properly investigated and, where crimes have been committed, that those responsible are brought to book. Fundamentally, radical economic transformation requires a supportive macroeconomic policy. We need to preserve our economic sovereignty so that we, the people of South Africa, may determine for ourselves the economic model, policies and programmes that best serve our national interest. That means we need to avoid a debt trap, which would scupper our transformation efforts and leave future generations saddled with the burden of our irresponsibility. We must adhere to the current fiscal framework. We need to be spending our public resources on infrastructure, education, health and the needs of the poor – not servicing debt. Above all, for radical economic transformation to succeed, we need to build a new national consensus on a programme for inclusive growth. We need to mobilise all sections of society in support of that programme. Even at this most difficult moment in our country, we need to draw on the great achievements of our young democracy, we need to affirm our resolve to build a united, just and equal society, and we need to forge a new social compact for fundamental social and economic transformation. As a country, we face many intractable challenges, both the product of a grossly unequal and unjust past and the result of current uncertainty. But as a people, we have the means, the determination and the resources to work together to overcome them.